Finally! We’ve gotten our first look at some Uncharted 4 gameplay with a sixteen minute demo that shows off dense tropical forests, dark caves, and of course…gunfights. 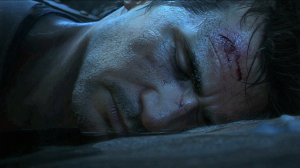 The first thing to note from the footage is that Naughty Dog is taking full advantage of Sony’s new hardware. The game looks beautiful; water drips from the dark caves stalagmites, foliage reacts to the characters that collide with it, and explosions cast tiny pebbles in every direction. I’ve been waiting for a truly “next-gen” action game and, from what we’ve seen so far, this appears to be it. While it still looks and feels like an Uncharted game, the level design appears to be much more open, allowing for the player to seek out several different routes to traverse with more ways to flank the enemy. And by different routes, I mean up, down, left, and right. This level has layers that players can explore and handle the situation in their own way. It seems as though they have taken some hints from The Last of Us level design. Specifically, exploration was an amazing experience in The Last of Us because you didn’t have to explore it but it was there waiting for you if you did. Uncharted could really benefit from allowing the player to deviate from the narrative path, at least for a little bit. A few new additions to movement and combat were also displayed, including a nice little whip-like grappling hook, which is one step closer to being an Indiana Jones game (all we need is the leather jacket and a nice fedora). But the combat appears to be even more nail biting than it’s predecessors. Animations that we used to consider “safe points” are no longer guaranteed to be an easy kill. For instance, Drake is hanging off a ledge, grabs a thug, and throws him off a cliff, usually that thug wouldn’t be a problem anymore but before he falls to his death he grabs Drake’s boot and the player has to mash the square button to kick him off. Uncharted has always been good at keeping players on their toes in combat but now it appears to be danger coming from everywhere, making it that much more exciting. Another feature that I noticed Naughty Dog borrowed from Last of Us was the very talented voice actor, Troy Baker who is playing Nathan Drake’s brother. We know very little about Drake’s family and past, perhaps we will see some more of that explored in A Thief’s End. Oh, one more thing…Confirmed 2015 release! 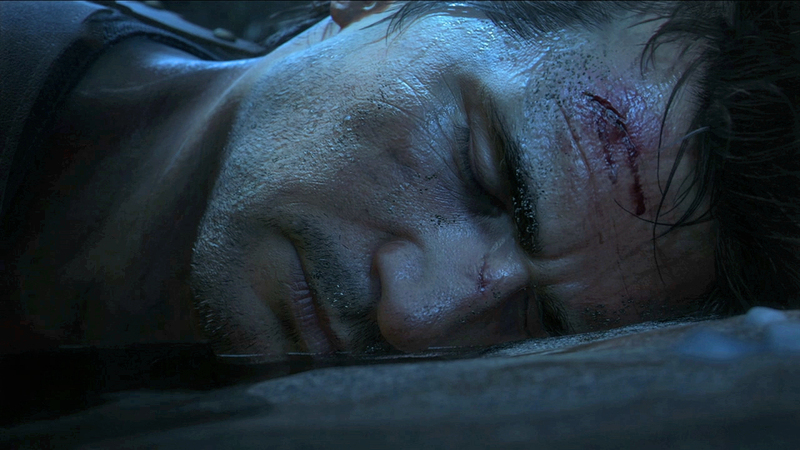 What did you think of the Uncharted 4 gameplay demo? Let us know in the comments!